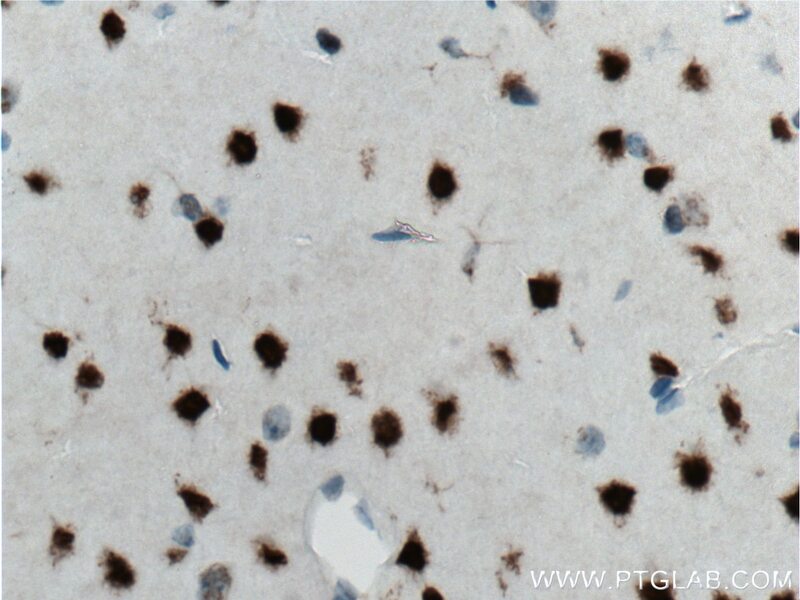 Immunohistochemical analysis of paraffin-embedded mouse brain tissue slide using 11733-1-AP( CUX1 antibody) at dilution of 1:200 (under 10x lens) heat mediated antigen retrieved with Tris-EDTA buffer(pH9). 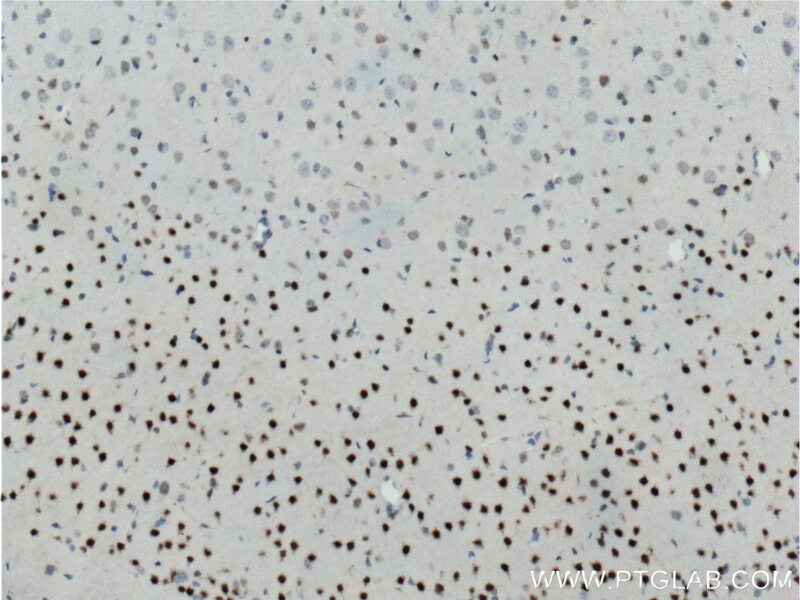 Immunohistochemical analysis of paraffin-embedded mouse brain tissue slide using 11733-1-AP( CUX1 antibody) at dilution of 1:200 (under 40x lens) heat mediated antigen retrieved with Tris-EDTA buffer(pH9). 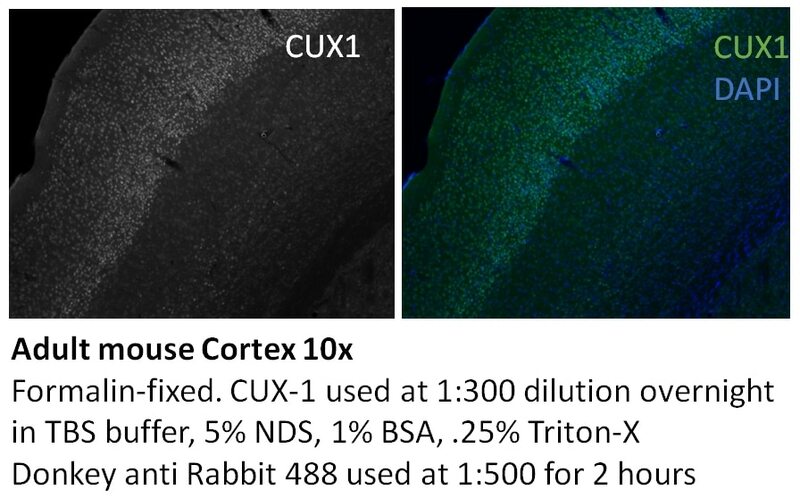 IF result of the antibody CUX1 (11733-1-AP, 1:300) with mouse cortex, Data from Dr. Lee O. Vaasjo Muñoz, University of Chicago. 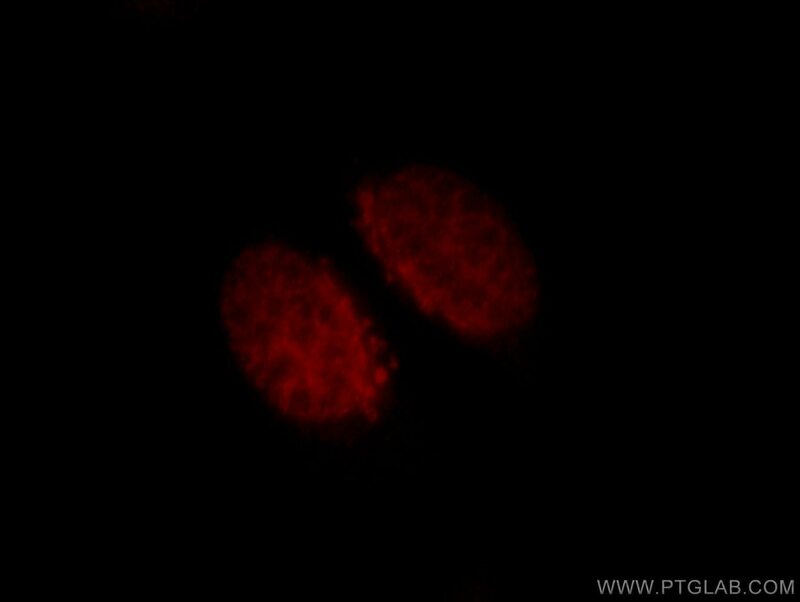 Immunofluorescent analysis of HepG2 cells, using CUX1 antibody 11733-1-AP at 1:25 dilution and Rhodamine-labeled goat anti-rabbit IgG (red). 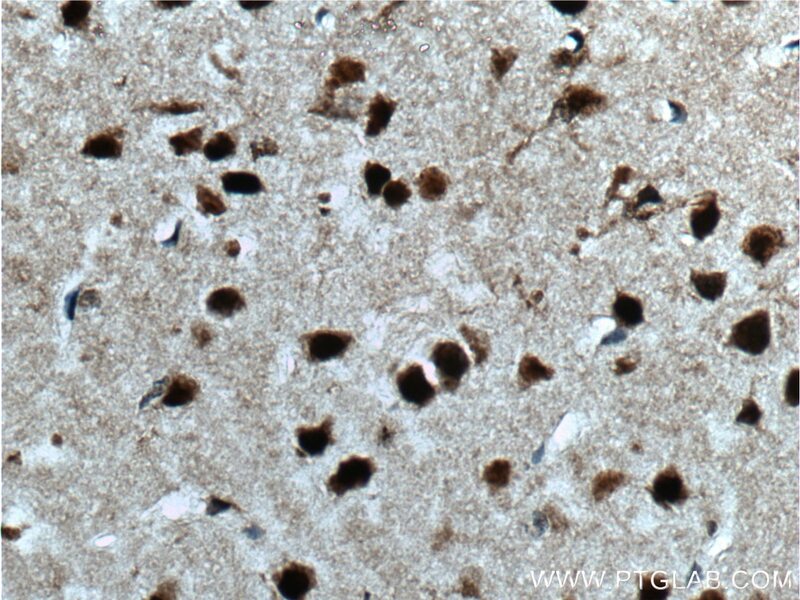 IP Result of anti-CUX1 (IP:11733-1-AP, 4ug; Detection:11733-1-AP 1:1000) with mouse brain tissue lysate 4000ug. CUX1 is a transcription factors that regulates a large number of genes and microRNAs involved in multiple cellular processes, such as DNA replication, progression into S phase and later, the spindle assembly checkpoint that controls progression through mitosis. Cux1, a marker of supragranular layers. 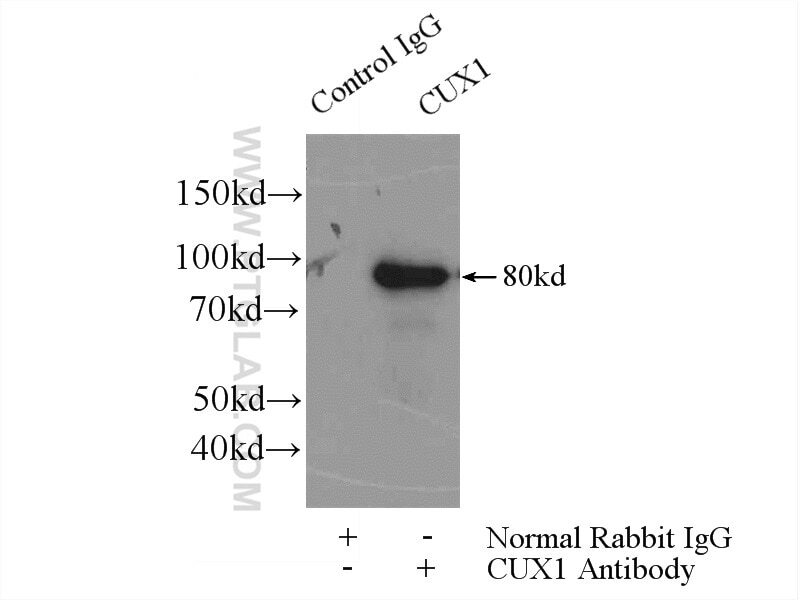 CUX1 acts by preventing binding of positively-acting CCAAT factors to promoters to mediated its gene reperssion. Also it's a component of nf-munr repressor, and binds to the matrix attachment regions (MARs) (5' and 3') of the immunoglobulin heavy chain enhancer. It can represses T-cell receptor (TCR) beta enhancer function by binding to MARbeta, an ATC-rich DNA sequence located upstream of the TCR beta enhancer. CUX1 protein containing three cut repeats and a homeodomain called p200, there are several truncated isoforms that have been identified. 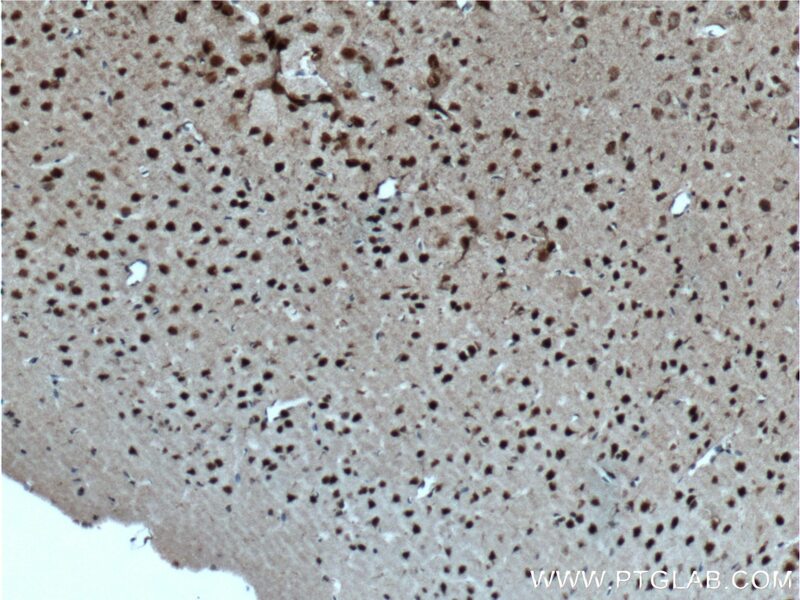 These isoforms include a testis-specific isoform containing one cut repeat and the homeodomain called p55. In situ hybridization showed that mRNA for p55 was most abundant in round spermatids. Additional isoforms include p75, a protein similar in structure to p55, derived from the use of an alternate promoter in intron 20 ; the cut alternately spliced protein (CASP), a Golgi protein that contains amino-terminal sequences but none of the cut repeats or homeodomains ; and several other isoforms (p80, p90, p110, and p150) that appear to arise via proteolytic processing ]. Quantitative proteomic and genetic analyses of the schizophrenia susceptibility factor dysbindin identify novel roles of the biogenesis of lysosome-related organelles complex 1.